Or at least not in the way my son was hoping. While stopped at a gas station, my son saw a man that he felt was in need. So, with his tender heart, he offered the man some of his lunch. However, for whatever reason, the man wasn’t in the mood to accept this offer, so he turned away Aden’s gesture. Never wanting to miss an opportunity to teach my kids, I used this. I explained that not everybody’s in the right place to receive the kindness you’re handing out. It doesn’t mean that they won’t be willing at some other point, but you just happen to cross them when they weren’t ready. Also, there will be times when we try to hand out our lunches, (or our faith) and it’ll be thrown back at us. What then? Should we stop pressing on? No, Way! I feel like often times we’re stumbled when someone rejects us, and because we feel embarrassed, we tell ourselves to keep quiet next time . Our feelings of humiliation prevent us from being bold and blessing others who may be willing, and waiting to receive us. Just so we’re clear, this isn’t just about handing out food or money to someone we come across on the street. This is everyday; people who need encouragement, kindness, love and acceptance. I can honestly say that I’m thankful for this experience. I had the chance to teach something to my son in real time-before feelings of rejection or confusion could set it and stifle his desire to put himself on the line again. Aden learned that although we may give out our kindness eagerly and with joy, it might have no reward. Even if all we were looking for was just the honest feeling of knowing you’ve done something helpful. This feeling may have to come by knowing that when we pray, we’re still doing good. Also, we shouldn’t let rejection squash our desire to give kindness or turn us away from God’s plan to use us next time. 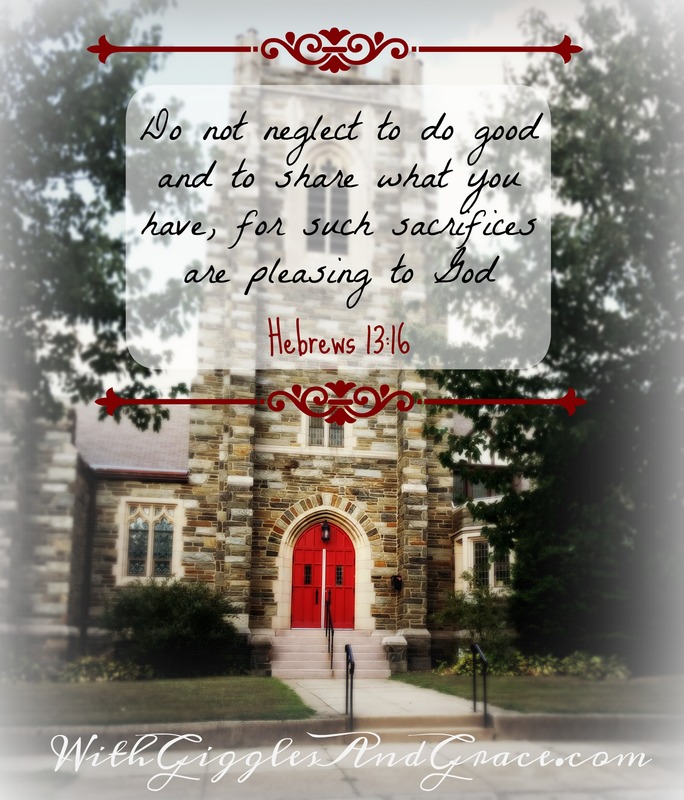 I really love this post and the points you share and your heart to glorify the Lord! Thanks. I’m so glad that my son really understood that this shouldn’t stop us from pressing forward. What a lesson for us all. Thanks for taking time today. This is a wonderful post. You recognized the situation as one of those precious teachable moments. Thank you! Yes, I wanted to get out in front of it, I could see the wheels begin to turn in his head as soon as it happened. You are doing such a good job teaching him, Mama. I’m so happy about your comment. You’ve made me think of this entire conversation in a new light. Planting seeds of faith is something we talk to them about, but for some reason I was dealing with making sure this encounter didn’t stop Aden from pressing on. Wow, so great! thanks for sharing your thoughts Sheila! Jen, I love this!!! SO MUCH!! This is a great teachable moment to teach a child about still loving someone or showing them love even if they are not ready to accept it. I have prayed many times about having a heart to bless and love others even if I am rejected or if they are not someone I want to love. For instance, if someone is unkind to me, it is hard to still show love him/her. The points you gave on what to pray for are so good and you have really blessed me with your post. I am sharing this with others. Thank you so much! Jennifer, I’m with you! I find it difficult to be kind to those who’ve rejected me-it’s something to keep in constant prayer. But we’re hoping this sets up a pattern of behavior for the kids that’ll help make it easier for them in the future. Also, I’m over the moon that this has touched you! I’m so excited to see God taking the space and allowing me to share what I’m learning. Thank you so much for sharing this with others!! So glad to have connected with you!